Bengaluru ByDesign celebrated its first edition with an inspiring programme of installations, workshops, talks, screenings, design pop-ups and more which saw the city transform throughout 23 Nov - 2 Dec. Bengaluru ByDesign is a democratic festival for the local and general visitors, along with the design industry engaging over 200,000 individual visitors. The Festival highlighted India’s design talent whilst it also functioned as a platform for global creative dialogue, featuring a strong participation from design professionals from across the world. This year’s Festival covered three key themes: Design & Public, Design & Education and Design & Business and celebrated creativity, encouraged design thinking and explored the innovations in design today. The Festival aims to foster innovation, creativity within the community, with a core objective of changing public perceptions of design through experience. Multiple key landmarks across the city were activated with 7 public installations including Karolina Merska’s Pajaki Chandelier made out of local flowers titled A Little Paper, A Little Poland, Bluecat Paper’s Stop & Stair - Unchained Symphony: Birds covering the staircase at UB City with handmade paper make out of cotton, 20+18 Chair Project showcasing one functional object with multiple interpretations featuring process, material, form, quality and time, A Different Point of VU by VU Televisions aim to open a dialogue on the role of technology plays in our lives and Tales of Indigo by Asian Paints gave viewers a unique insight into the story and history of the colour - Indigo. Other public installations included Green is the Colour by Total Environment at St. Marks, Bengaluru. This installation formed a twisted arch made of metal and jute covered with baby spinach plants creating the appearance of a continuously twisting green ribbon and When Buildings Come Alive, where Townhall Bengaluru was wrapped with warps and wefts with the exquisite weaves from Aadyam Handwoven’s collection creating a disruptive sight capturing the public’s imagination. India’s largest design conference, India Design Forum (IDF) was one of the key highlights of the Festival who featured global thought leaders and practitioners of technology, innovation, and design, to Bengaluru for the first time. Exploring the topic Disruptive Design this year's theme discussed how cutting-edge innovation and technology is creating lifestyle changes universally. From what we wear, the way we consume information, how we engage with our environment; to how we live is changing rapidly with disruptive businesses and products. Key highlights of the IDF included sessions by Jay Kothari, Project Lead, X- The Moonshot Factory, USA and Sanjay Poddar, Project Lead, Accenture Labs on collaborative innovation. Chris Solarski, Swiss Game Designer and Biren Ghose, Country Head for India at Technicolor discussed how emergent technologies seen in gaming and experiential media shape and interrogate our relationships with reality, and help to solve real-world issues. Steve Lidbury, Managing Principal, Eight Inc. talked about designing for the experience economy: how today's consumer is more concerned with experiences and transformations than goods and services. This is forcing designers and brands to tear up the rulebook and rethink their strategies. The internationally-acclaimed Graphic and Type Designer, Shiva Nallaperumal talked about the way he uses his work to disrupt expected norms, the power of graphics and typography to be subversive. Sanjay Garg, Founder, Raw Mango, talked about contemporising fashion traditions and breaking away from the established industry structures such as fashion weeks and runway shows. Maximiliano Modesti, the French-born Founder of Les Ateliers 2M, the Indian embroidery partner for major international luxury brands such as Hermes, Isabel Marant, and Chanel, spoke about changing perceptions of craft and of making in India. Gautam Vazirani, Curator, Lakme Fashion Week and IMG Reliance, was in conversation with Parvinder Marwaha, Design Program Manager for the British Council, UK, on craft in a world of rapidly evolving technology and the visual mediums being used to pass down these stories - showcasing projects with Storyloom Films for the global Crafting Futures campaign. Kamal Sagar, founder of the architecture and building firm Total Environment talked about 'big city life' and the design innovations that will change our urban environments to make cities safer, cleaner, and more livable. Rahul Mishra, spoke about the need for innovation in the production and consumption of fashion. Other pioneering design industry influencers and practitioners speaking at IDF Bengaluru include Malika Verma Kashyap, Border&Fall; Brian Parkes, CEO, Jamfactory, Australia; Jahnvi Dameron Nandan, The Perfume Library; Revathi Kant, Chief Design Officer, Titan; Bandeep Singh, Photo Editor, Fortune India; and Abhimanyu Nohwar, Founder-Director, KibaDesign. 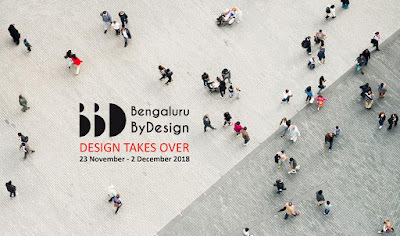 Bengaluru ByDesign featured three design districts in the city by activating design events at Whitefield, Electronic City and Yalahanka, that played host to various events. At the Electronic City, building on the Festival’s ongoing ambition to promote design thinking within the region, the Design Day at Titan was received with critical engagement and debate reinforcing the platform at the Festival as a vital forum for discussion within the region and globally. Notable speakers, sharing an array of engaging themes, included Antony Parham, Creative Director, FITCH spoke about Designing For Future. Ravi Bhogu, Founder and CEO, Monitra Healthcare, Anshuman Singh, Founder, ReTiSense and Abhishek Sharma, Chief Marketing Officer, Goqii discussed The Future Of Wearable Technology moderated by Somprabh Singh, Business Head, Titan - Wearables and P.A.D. and companies including Under 25, ToneTag and Banyan Nation covered the topics on Ideas that Shake the World. Yelahanka ByDesign featured workshops for students at Srishti School of Art Design & Technology. Srishti also played host to the Contemporary Japanese poster exhibition featuring 15 key graphic designers from Japan showcasing their works created between 1986 - 1991, a period in Japan known as the Bubble Economy. The creation of these posters which were then made for international meetings and expositions was influenced by an increase in awareness towards environmental problems as signs of globalization started becoming visible. To make design inclusive, educational and accessible, other activations around the city included Museum of Everything curated by Sarayu Hegde, Founder, Bombay Attic, and Virja Shah, Founder, Kit and Caboodle focusing on Indian contemporary alternate fashion, ethical clothing for sustainable living and lifestyle products. TVS and Bengaluru ByDesign launched a Design Challenge wherein students and young professionals were invited to render colour and graphics to TVS Apache RR 310 and TVS NTORQ 125. Total Environment in collaboration with the Festival conducted their annual event, Think Design at Whitefield, Bengaluru and focused on their large residential projects along with showcasing their capabilities in design, food & sustainability. A series of events and workshops were curated with Workbench Projects and Wework to engage and educate the audience on Design & Making and included an object shop, design documentaries, Origami, Pajaki, lighting design, 3D printing and laser cutting workshops conducted by industry experts. Chris Solarski, Swiss artist-game designer and author, conducted workshops with Industry specialists like Technicolor and other gaming companies and introduced the magic of Gaming Art & Design to a general audience at their Whitefield campus. The Festival was in collaboration with TVS, Progress Partner, Asian Paints, Colour Partner and WeWork, Productivity Partner. Titan, Total Environment, VR Bengaluru, Technicolor and Shrishti Institute of Art, Design & Technology have come on board as Design District Partners. Workbench Projects, The Swissnex India, The Polish Institut New Delhi, Institut français en Inde, The Japan Foundation, Pro Helvetia - Swiss Arts Council, Goethe Institut/Max Mueller Bhavan are the Content Partners and Anant National University, the Education Partner. The Festival is supported by VU Technologies, Aadyam, Aditya Birla Group, Nicobar, Hospitality partner Oakwood & Logistics Partner: Star Worldwide. 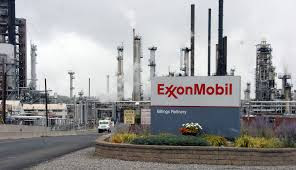 ExxonMobil announced that its wholly-owned affiliate, ExxonMobil Lubricants Pvt Ltd, has launched Mobil Super Moto – a range of premium technology lubricants specifically developed to provide exceptional cleaning and protection for the engine, transmission and clutch in all types of two-wheelers. Like the automobile industry, the two-wheeler sector is evolving very fast and becoming extremely popular in every part of India because of the added advantage of affordability. With this growing demand and usage comes the attention towards engine maintenance for two-wheelers. 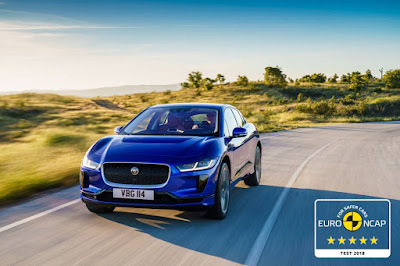 In a country like India with varied climate conditions, rough terrains and heavy traffic across all regions, it is critical to have products that maintain good performance and extend engine life. Mobil Super Moto is designed to deliver long engine life and protection that in turn transforms the way India travels. The Mobil Super Moto range is available for scooters and bikes. It consists of Mobil Super Moto 10W30, 10W40, 20W40 and 20W50, as well as a 10W30 product specifically for scooters. The range is priced between Rs.304 to Rs.434. 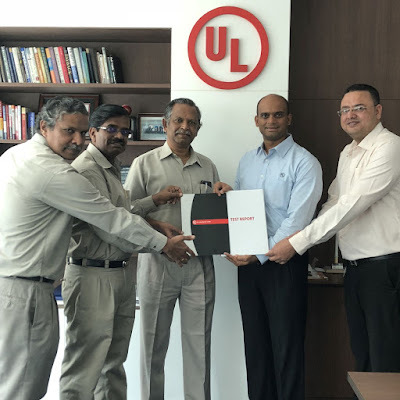 UL, a leading global safety science company, has successfully completed the first series of tests for solar panels manufactured by the Bharat Heavy Electricals Limited (BHEL) under the mandatory certification programme of the Bureau of Indian Standards (BIS). One of the country’s earliest manufacturers of solar modules, BHEL has a module manufacturing capacity of 226 megawatts (MW) at its state-of-the-art facility in Bengaluru. , UL collaborates with BHEL on various projects and will continue to support the company in the BIS programme. “Over the past three decades, BHEL has led the development of solar manufacturing capacity in India, enhancing sustainability and environmental goals. The ongoing efforts to strengthen the quality of solar modules through the BIS certification is an important development, and BHEL fully subscribes to the programme. UL played an important role in our journey to achieve the highest standards of quality and performance,” says Rajababu D., general manager, BHEL. As part of this programme, samples of 4BB and 5BB high-efficiency modules of both monocrystalline and polycrystalline varieties between 300 to 340 wattage were tested by UL at their Bengaluru solar photovoltaic laboratory over a period of two months. A battery of over 100 tests, including a damp heat test and thermal cycling test were performed on the samples, as required by BIS certification standards. UL is the first laboratory in India empanelled by the Ministry of New and Renewable Energy (MNRE) for testing various components, such as PV modules, solar inverters, charge controllers and solar lighting systems. The facility is equipped to test these products for national and international certification programmes, including those specified by the International Electrotechnical Commission. The Solar Photovoltaics, Systems, Devices, and Component Goods (Requirement for Compulsory Registration under BIS Act) Order 2017, issued by MNRE in August 2017, has been enforced since Sept. 1, 2018. Qlik continues to lead the analytics and business intelligence industry in delivering AI (augmented intelligence) innovation that expands the value of Qlik’s platform for all users. With the November 2018 release of Qlik Sense, Qlik has introduced new machine learning (ML) capabilities into its cognitive engine and platform. Precedent-based machine learning allows the Qlik cognitive engine to get smarter over time, continually learning from user interaction and feedback as well as other sources. Qlik is the first analytics company to bring AI and ML capabilities together with human intuition in a way that truly augments the user’s power to discover. Qlik’s new machine learning capabilities will initially be utilized in Insight Advisor, which debuted as part of the June 2018 Qlik Sense Enterprise release. Insight Advisor auto-generates and suggests the best analytics and insights to explore based on the overall data set and a user’s search criteria, making insight suggestions increasingly relevant and valuable as the machine learns from the user’s analytics interactions. Users can directly train the machine by manually creating analytics, altering what the machine suggests, and providing direct feedback. The cognitive engine also learns from additional governed and trusted sources such as business rule definitions in global libraries and Qlik artifacts. 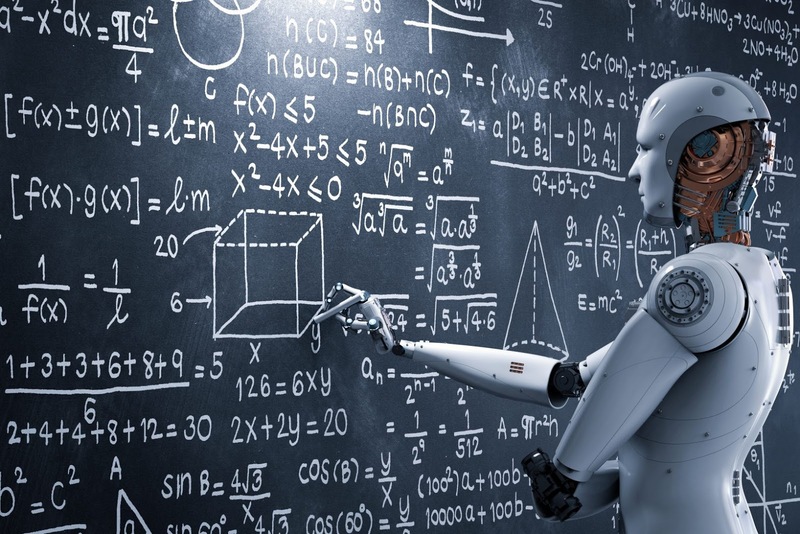 Qlik’s AI and ML capabilities are truly unique because they work directly with Qlik’s associative engine, combining the power of AI with human intuition. 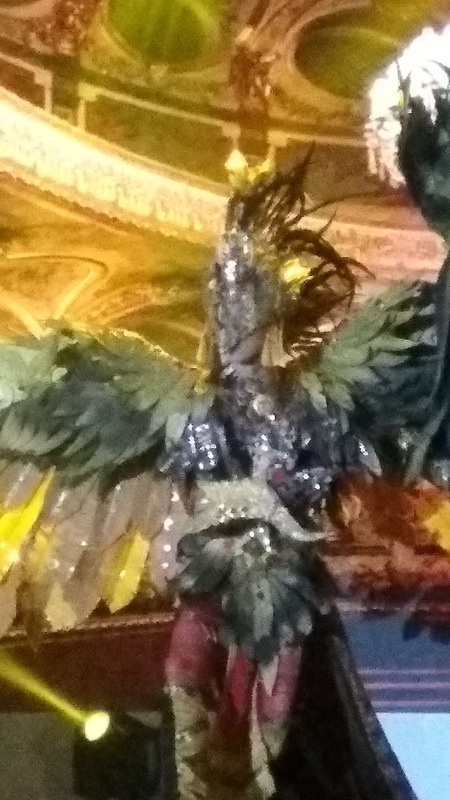 Because the associative engine is aware of a user’s context (selection state) at each step in the exploratory process and knows all the data that is associated and unrelated to that context, this is factored into machine driven analysis and insight suggestions to make them more relevant. It’s like giving the user “peripheral vision” that guides them to hidden insights and helps them see the previously unseen. Thus, Qlik delivers the power of AI2, whereby both machine and human become increasingly empowered. Associative Indexing combined with Augmented Intelligence = AI2. KG Information Systems Private Limited (KGiSL) in association with UiPath has announced the launch of ThinkAHack, an RPA specific Hackathon event to happen in January 2019. KGiSL, a leading fintech solutions and services provider catering the global capital market and insurance domains has partnered with UiPath, one of the fastest growing enterprise software companies in history backed by over $400 million in funding. ‘ThinkAHack’ will be a 36-hour RPA Hackathon contest involving continuous research and learning which will see a participation of 1000+ college students and technology enthusiasts with different backgrounds across India. ‘ThinkAHack’ encourages the development of cutting-edge technology and aims at talent identification. The top teams get a total cash price of INR 4,50,000/- and the best 200 participants who demonstrate effective talent and technological innovation will be absorbed into the folds of UiPath and KGiSL. The Winning team gets a cash prize of Rs.2,00,000 and the Runner up team gets Rs. 1,00,000. The next three top teams get a cash prize of Rs.75,000, Rs.50,000 & Rs.25,000 respectively. The participants who will register for the hackathon will have to go through a UiPath certificate course which will help them familiarize with the UiPath RPA tool that will be used in the Hackathon. Registered members can participate in the Hackathon only after going through the certificate course. The participants do not have to incur any cost for registration or for the certificate course. Registrations will be live on www.thinkahack.com. These participants will meet, form groups, brainstorm, discuss, impart ideas and aid each other in developing innovative and smart projects completely based on Robotic Process Automation. “We are happy to launch this hackathon which will help students develop their technological skills by applying their expertise in a creative way and drive innovation. We are also planning to make this an annual program” said Dr. Ashok Bakthavathsalam, Managing Director, KGiSL. During the course of the Hackathon, KGiSL will organise on all aspects of participant management such as, accommodation at the campus, meal, and free kit that includes the Hackathon T-shirt, ID cards, stationery as well as other necessary stuff required for the Hackathon. Each team will be provided with a system to work on their codes with uninterrupted wi-fi and dedicated mentors will be appointed to clarify any queries of participants before and after registration. 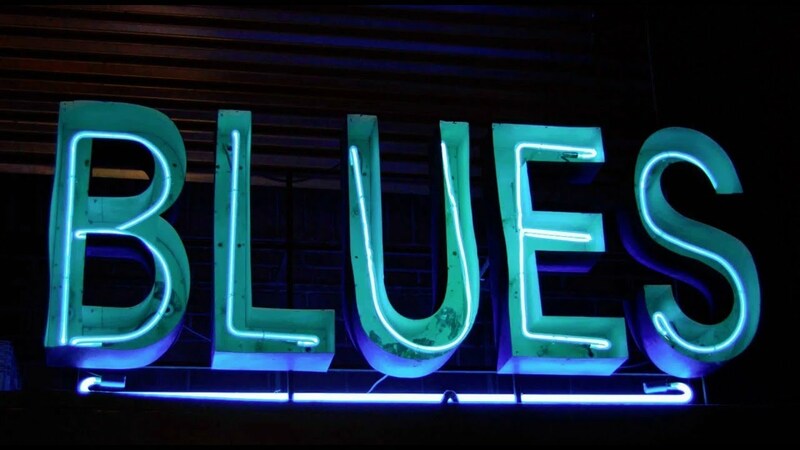 Asia’s largest blues celebration and Mumbai’s pride, the Mahindra Blues Festival, is back with its ninth edition featuring the biggest acts from across the globe. The two-day celebration in the Maximum City of Mumbai is a major draw for blues fans from across the country. Boasting an incredible line-up of acclaimed international artists at the iconic Mehboob Studio on the 9th and 10th February 2019, this music extravaganza is all set to enthrall audiences with its high energy and vibe. The heavy hitters on the list that will steal your heart are blues experts like Beth Hart, Charlie Musselwhite, Sugaray Rayford, Brandon Santini along with Arinjoy Trio representing the Indian act. They have come together to put together a high octane yet soulful and exquisite evening for Mumbai audiences. The Blues Magazine once dubbed Beth Hart as “the ultimate female rock star.” The Grammy-nominated singer/songwriter is riding a creative tidal wave with big hits on her recent album, “Fire On The Floor.” With a career spanning more than two decades in the blues industry, Hart has always been praised and admired for her “daring, brooding and angry” performances on stage. Fifty years of non-stop touring, performing and recording, Charlie Musselwhite has won 35 Blues Music Awards, been nominated 12 times for the Grammy Awards, taking home his first Grammy win in 2015 for his collaboration with Ben Harper on Get Up! Charlie may be the only musician to get a huge ovation just for opening his briefcase! Sugaray Rayford is an American electric blues singer and songwriter, who has recently marked a big hit with his fourth album “The World That We Live In.” His church-honed vocals have unquestionable gospel influences, infusing his music with a certain sincerity that is increasingly hard to find. Often compared with James Cotton or Paul Butterfield, Blues Blast Award nominee, Memphis vocalist, and harmonica player, Brandon Santini is a true dedicator of traditional blues with a modern colorful style of playing. The winner of the Mahindra Blues Band Hunt, 2018, Arinjoy Trio is an amalgamation of three people who share a common hunger for the blues. Led by guitarist Arinjoy Sarkar, it comprises of Sounak Roy on drums and Aakash Ganguly on Bass. 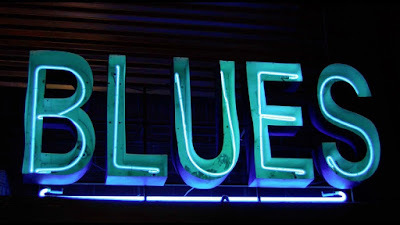 The trio performs a wide variety of blues music, from old school to contemporary. The Mahindra Blues Festival in association with The Times of India is co-sponsored by The Glenlivet Books, Mahindra Life-spaces, Club Mahindra, Mahindra Finance, Mahindra Accelo and Tube Investments with Gledo Advertising as the outdoor partner. The festival is promoted and produced by Oranjuice Entertainment. Tickets are on sale on bookmyshow.com with daily passes available at Rs 2,500, season passes for Rs 4,000, while students can attend the festival at Rs 1,200 per day. Premium Enclosure Season Pass, which is inclusive of F&B will be available at Rs 15,000. Unity Technologies, in collaboration with Government of Telangan launched its second edition of two-day annual developer conference- Unite India 2018. The conference witnessed more than 1200 delegates on day 1 with sessions spread across industrial, gaming and education by Unity and its partners. Companies like Dell, Intel, Deloitte, Tech Mahindra, Tata Elxsi, Autodesk, Mindbox participated and spoke on the occasion with the audience. Mark Schoennagel Evangelist, Unity Technologies commented in the keynote address, “Unity has always been committed to democratizing game development and to provide the very best tools for making those games and interactive experiences. 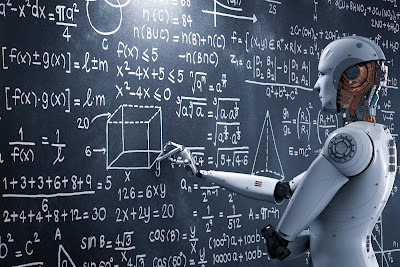 To continue with this mission Unity is very proud to lower the barriers of entry and provide Machine Learning to all of you. “Unity Machine Learning is being used for all sorts of applications in Research, Training Industrial simulation and even teaching cars how to drive autonomously.” He added. 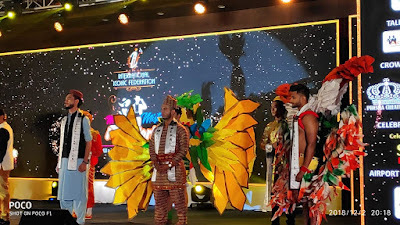 During the event, through multiple sessions, Unite India has put across a strong emphasis on leveraging emerging technologies, especially Machine Learning which can potentially impact every genre and sector of companies that are paving on their way to digitally equip their operations, workforce and ultimately, the consumers. Unite India has the highest number of attendees innovating beyond games in industrial markets. Unity also announced that it has partnered with Microsoft in the simulation space to bring their popular Open Source simulation platform- AirSIM to Unity. Many companies are already leveraging unity to train their autonomous vehicles which will be faster, cheaper, and especially safer. This offers a cross platform support across Windows and Linux apart from advantages like freedom to experiment and integrate ML agents, free city environment, integration to unity asset store. This will now be available on Github. The other partnership which was the key highlight was with Autodesk which started a year ago with Max and Maya in the gaming space. It was also revealed during the day that Unity Developer was ranked number 7 in the top 20 emerging jobs as per LinkedIn’s Top Emerging Jobs Report. Research predicts a 39% increase in job postings requiring Unity in the next 2 years and shows the potential for a 30% increase in salary. By learning Unity, you are helping to future proof your skills. Unity offers learning resources that helps the industry learn the latest features. Unity Certifications are helping set the professional standard for real-time content creators. In the year 2018, Unity launched 5 new certifications, partnered with Pearson, making our exams widely available to take online or at thousands of testing centers worldwide via Pearson VUE testing services- on your own time. Through the Authorized Training Partner (ATP) Program, Unity offers and scale in-person training workshops for enterprises and schools, to enable upskilling of existing pool of developer talent. Unity has 15 ATPs in India and 4 COEs across APAC region. The Center of Excellence Program pushes the boundaries of innovation design, with research projects, helping to build high quality applications in VR, AR and games across wide variety of industry verticals. The Academic Alliance Program by Unity is a consortium of forward-thinking, post-secondary education institutions who are committed to providing their students and faculty with the skills needed to create experiences in 2D, 3D, VR and AR. Alliance members receive exclusive Unity benefits. Unity’s Authorized Learning Partner program features best in class learning partners, like Udemy, Pluralsight and Coursera, creating and co-developing self-paced online learning content. Unity also announced a partnership focused on the India region, with Zenva Academy, who offer great courses. In India, Unity has enabled 41 Students across 30 Universities representing 10 states in India - helping reach over 1500 students. Unite is Unity’s global developer conference hosted in 8 countries and is the most important gathering of Unity developers, artists, publishers, educators, and enthusiasts. Scheduled on 5th and 6th November, Unite India 2018 brings together gaming industry experts and eminent spokespeople from the industry, under one roof to give a deep insight into the world of evolving technologies. Fraunhofer, Europe's largest application-oriented research organization organised their 5th Fraunhofer Innovation and Technology (FIT) Platform this Wednesday, December 5th in Bengaluru, India, where various international technology experts deliberated on and showcased cutting edge technologies, innovation and solutions. The event this year focusses on Digitalization spanning the sectors such as Manufacturing, Energy, Buildings, E-mobility, Space, Smart Cities and Cultural Heritage, all seen as fundamental growth drivers in world markets. · Dr. Gopichand Katragadda - Group CTO, TATA Sons Ltd. Participants included over a dozen Fraunhofer experts from the fields of ICT, Energy, Efficient Building Technologies and Production Technologies etc. Included participation from top Indian and German companies as well as International organisations such as Asia Productivity Organisation (APO). Fraunhofer has been active in India for over 10 years, initially with a Fraunhofer Senior Advisor and since 2012 with a Fraunhofer Representative Office supporting the activities of the Fraunhofer Institutes. With this event it will look to commemorate this milestone in the presence of industry leaders and key stakeholders from the government and industry. The 5th Fraunhofer Innovation and Technology Platform held in the morning was followed by a high-level panel discussion on ‘Innovation - the Fulcrum of a Global Industry’, featuring marquee industry leaders discussing successful innovation ecosystems across leading nations, the India scenario - challenges and opportunities, trends and ways to scale up the Indian innovation ecosystem. “Fraunhofer has been involved in India for 10 years now, and it has been such an exciting journey. Our institutes have been a long time trusted innovation partner in India, collaborating with some of the major players in the field of Material Science, Energy, Environment, Automotive, Electro-mobility, Production Technology and Smart Cities, while working with Industry, Government and Public Sector. Our Industry clients have grown tremendously over the last few years and we look forward to another successful decade of meaningful partnerships between the two great nations.” − Prof. Frank Treppe, Managing Director Political & International Affairs and Associate Board Member, Fraunhofer Gesellschaft. 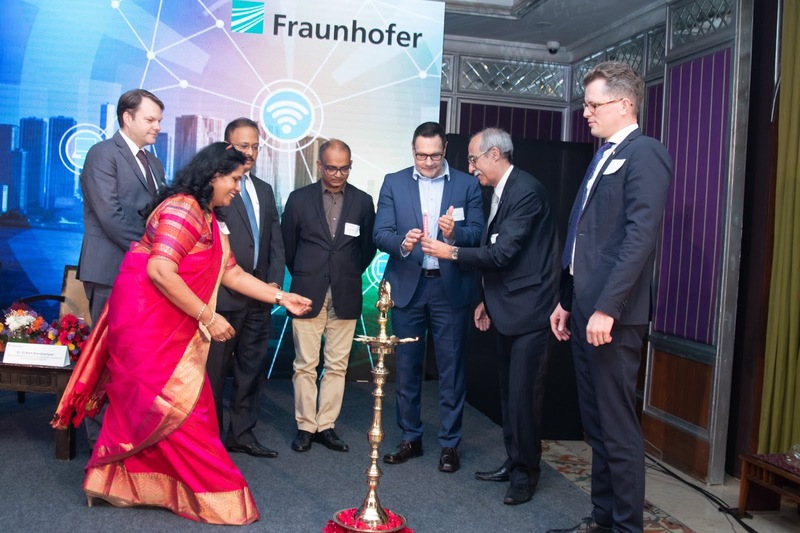 “While our international footprint is growing steadily, our growth in India has been equally exciting, as Fraunhofer moves into a more strategic and long term partnership with its clients and partners. A great amount of goodwill, contracts and successes were achieved along the way. Fraunhofer is the Technology Resource Partner for Manufacturing in India (MoU with Dept. of Heavy Industry, Govt. of India), the Technology Partner for the Ministry of New and Renewable Energy (MNRE) and the International Solar Alliance (ISA), and in the process of setting up two Smart City Innovation Labs in India among others.” − Anandi Iyer, Director, Fraunhofer Office India. ATEN is introducing its True 4K series with HDR to address the growing demand in India for quality AV and richer visual experiences. The True 4K series focuses on HDR technology, which helps to create contrasted visuals that are more realistic. HDR optimizes an image's contrast ratio, thereby increasing the picture's dynamic range, which helps to deliver a much more vivid image. Shyam Tambatkar, PSM Professional A/V at ATEN India says, "The increasing popularity of HDR technology has prompted us to take steps to come up with cutting-edge HDR solutions. ATEN's True 4K series is fully equipped with superior video resolutions, robust signal routing and ultra-fast digital video switching, making it the perfect companion for applications. The True 4k HDR series will pave the way for futuristic event venues, digital signage and video walls, real time collaborative meeting room experience, digital classrooms, auditoriums, department stores, and more." With the ATEN True 4K Series, customers in India can now create state-of-the-art video rooms with world class technology for the next generation display technology, especially for large-display ads focusing to create a potent impact on viewers through the use of 4K imagery. "ATEN has fully tested its True 4K Series with HDR to verify with absolute certainty that all products support the bandwidth required for HDR content as well as comprehensive EDID settings to ensure output capability. All products are also guaranteed to transmit complete InfoFrame Metadata, something that is especially important to enjoy the full visual benefits of dynamic HDR. We are sure ATEN's True 4K series will redefine the way people view the world through videos and displays" added Shyam. The series not only includes splitters and switches, but also matrix switches with a video wall processor, which will help customers connect with any of the various applications where they need the seamless delivery of HDR content at the best possible quality. Please contact ATEN INDIA for product inquiry and introductory offer. Hyatt announced the launch of an all-new annual subscription lifestyle rewards program for India, Hyatt Dining Club. Recognising the importance of India as a travel destination and the needs of the discerning consumer in India, Hyatt Dining Club provides customised experiences across the country. The program is built on the foundation of extensive research conducted in association with Kantar IMRB and Coral Research Services. Based on the understanding that guests value holistic experiences, Hyatt Dining Club aims to move beyond standard dining rewards programs, with incentives not just limited to restaurants but also in-hotel elements such as spa treatments and social events and more through exclusive deals with third parties like Xoxoday and PVR Cinemas. Research findings show that rewards program subscribers seek benefits that add value to their complete stay or dining experience. By going beyond restaurants and in-hotel elements, Hyatt Dining Club has been created as a customizable program that allows people to pick what they care for. Its simplicity is reflected in its structure – there are no tiers or points. 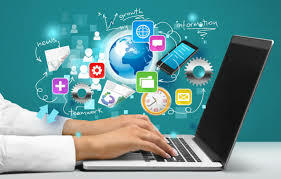 Seamlessly digital, the program offers online enrollments and rewards – with every membership linked to a unique mobile number. Along with a 30% eligible food and beverage purchases at participating hotels, the program offers a variety of benefits such as suite upgrades, exclusive offers on meeting and event spaces, added personal perks at the spa or on special occasions. Keeping in mind that guests look forward to experiential benefits, Hyatt Dining Club allows members to pick one of the five unique packages focusing on stays (Suite Life), spa (Pamper Me), food (Food Fanatic), meetings (Down To Business) and social events (Life Of The Party). Beyond the numerous restaurants and in-hotel rewards, Hyatt Dining Club offers benefits of curated lifestyle experiences to members through exclusive deals with third parties like PVR Cinemas and Xoxoday. 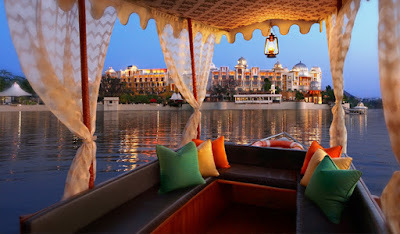 Valid across all Hyatt properties in India, the program treats its members to other perks such preferred member seating and invitations to special events. The research (both qualitative & quantitative) conducted by Coral Research Services and Kantar IMRB indicates that consistency across outlets is an important factor for guests. The survey conducted by Hyatt and Kantar IMRB involved 60+ focus groups and depth interviews across key cities in India and quantitative research with 700+ customers. The research surveyed working men and women aged 26-55, belonging to SECC A1 & A, who are members of airline and hotel programs, and dine out at least twice a month. The research highlighted that members seek benefits which add value to their complete stay or dining experience, by going beyond restaurant and in-hotel elements. It also found that guests possess a desire for customization, building a relationship and a preference for rewards over discounts. Taking into account these insights, Hyatt Dining Club is crafted to address guest preferences to meet each person’s individual needs. With an annual fee, members of Hyatt Dining Club can avail various benefits and discounts at all Hyatt hotels across India. The program also provides a free trial that allows members to experience select dining benefits. HDFC ERGO General Insurance Company, India’s leading private sector general insurance company and Federal Bank, announced tie-up for the distribution of HDFC ERGO’s range of non-life insurance offerings to the customers of the Bank through its network branches. The two entities have joined hands and entered into a corporate agency partnership to offer comprehensive general insurance products through the network of Federal Bank’s 1250+ branches spread across entire country. The Bank with its Pan India network and technological edge comes as an advantage for HDFC ERGO. Federal Bank’s deep rooted presence in Southern markets also allows the Company to strengthen its foothold within the region. Also, this enables Federal Bank to offer their customers’ a comprehensive solution for all their financial requirements under a single roof. ACT Fibernet (Atria Convergence Technologies Ltd.) India’s largest fiber-focused wired broadband ISP (Internet Service Provider), has teamed up with the Karnataka State Reserve Police (KSRP) to provide mobile toilets for the KSRP battalion. Commenting on this, Bhaskar Rao, IPS, Addl. DGP KSRP said, "Karnataka Police is extremely grateful to ACT Fibernet for this gesture under their CSR project. Usually the KSRP Batallion while on duty find it very difficult to answer the call of nature and get criticized if the right thing is not done. 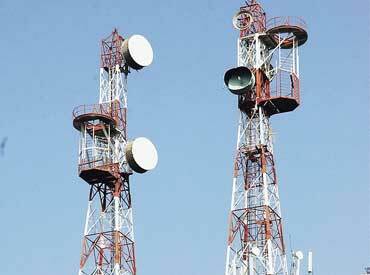 This contribution from ACT Fibernet comes as a huge relief to them and is certainly very helpful to our force. I thank ACT Fibernet for this and for all that they do under CSR for Karnataka Police." 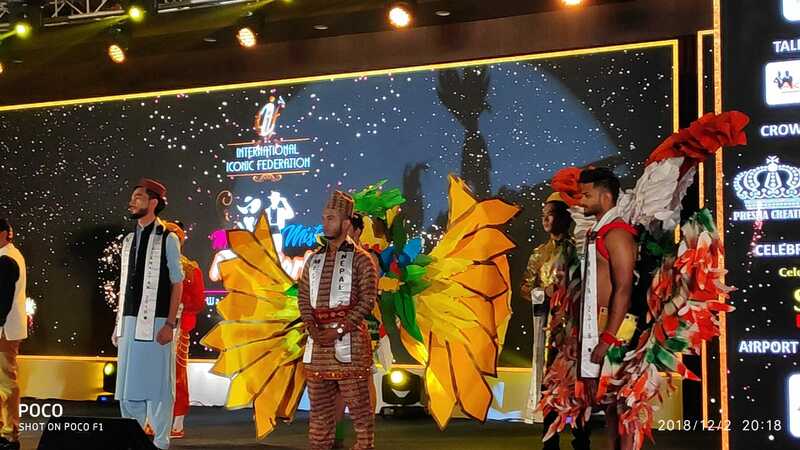 With the 9th edition of the Vibrant Gujarat Global Summit 2019 fast approaching, Gujarat Education Minister Bhupendrasinh Chudasama led the official roadshow for the Global Summit in Bengaluru at The Sheraton. Addressing a hall filled with IT and service sectors leaders and industrialists of the city, Chudasama laid out the theme and focus for the 9th edition of the biennial summit. He spoke in detail about the investment potential in Gujarat and gave a glimpse of the government policies designed for different sectors that have furthered growth and investment in the state of Gujarat. Chudasama also spoke about mega projects such as the Special Investment Regions at Dholera and Mandal-Becharaji; GIFT City; Saykha Industrial Estate within PCPIR; Coastal Economic Zone in Kachchh; and India’s first 1 GW offshore wind energy park, the Delhi-Mumbai Industrial Corridor and Ahmedabad-Mumbai Bullet Train. Gujarat has set an example for rest of the states of the nation as to how investment opportunities could be explored and employment can be generated by laying proactive policies for investment. Chudasama also spoke of the fact that while Vibrant Gujarat may have started out as a summit to attract investments to the State of Gujarat; today it caters to the global audience. Vibrant Gujarat is opportunity for other states also to interact with the global business community, which will eventually benefit their state. During the event, Government of Gujarat signed an MOU with Texport Industries Pvt. Ltd. for their investment intension of setting up Garment Manufacturing unit under the Gujarat Garment and Apparel Policy 2017. The proposed garment manufacturing unit will be established at Miyawadi (Bardoli) near Surat and will generate employment of 2000 which consist mostly of women. The Education Minister also held one to one meetings with CEOs and MDs of key industries in the region and apprised them about investor friendly policies of the State Government and invited them to participate in the upcoming Vibrant Gujarat Global Summit. The roadshow in Bengaluru closely follows the recently concluded Vibrant Gujarat Curtain Raiser held in New Delhi, Mumbai and Pune. Senior officers from Government of Gujarat including, Dr. Jayanti Ravi, Principal Secretary, Health and Family Welfare Department, Government of Gujarat, Mamta Verma IAS, Industries Commissioner, Dr. Dhananjay Dwivedi IAS, Secretary Department of Science and Technology, and RK Beniwal, IAS Managing Director, Industrial Extension Bureau, Government of Gujarat were in attendance. 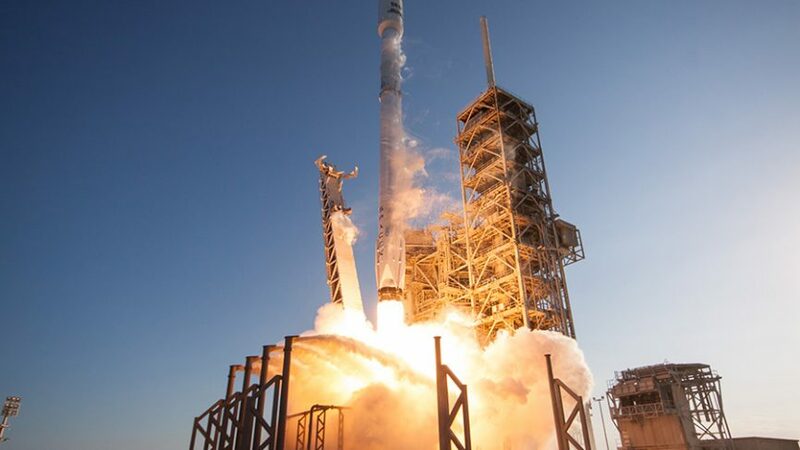 California-based SpaceX has announced the successful launch of India’s first homegrown satellite built by a Mumbai-based private startup, which is part of the 70-odd satellites from 16 countries, that were launched in a sun-synchronous polar orbit. Euphoria gripped India's southern city of Hyderabad on Tuesday after SpaceX announced that all 64 satellites on board the Falcon-9 rocket had been successfully placed on orbit. The mission, launched from Vandenberg Air Force Base in California, included a one kilogram CubeSat named ExseedSat1 which was fully conceived, designed and made by Indian start-up Exseed Space without taking any help from the state-owned space agency ISRO. 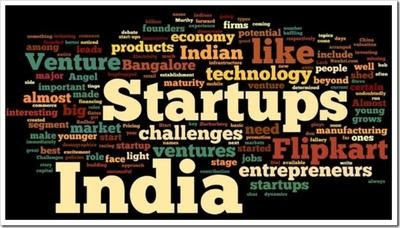 The startup was founded by Ashhar Farhan and Kris Nair. The startup claims that it is also part of the private consortium who won the historic AIT bid last year to build large satellites for the Indian government. "ExseedSat-1 carried an amateur radio payload. 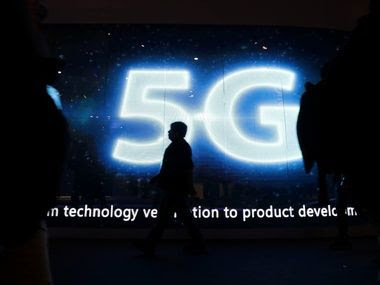 Licensed radio amateurs around the world will be able to access, receive and talk through it using a simple hand-held walkie-talkie with beam antenna", Kris Nair, one of the founders said. Exseed Space is working towards setting up India's first contract satellite manufacturing facility. Once operational, the facility will cater to the growing global demands of manufacturing CubeSats, NanoSats, and MicroSats (1U/2U/3U/6U). Platforms the start-up builds are based on units of 10cm by 10cm by 10cm CubeSats. The power output is selectable between 1 watt and 0.5 watts. The purpose of the mission is to interest student outreach. 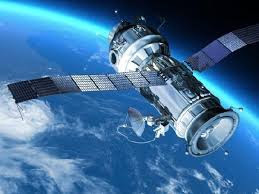 Depending on the life of the battery, the satellite may provide service for two years and then the satellite would de-orbit naturally. The SpaceX mission have launched 70 spacecraft from 50 different organisations, including 15 microsats and 56 cubesats, that will rank it as the single largest ride-share mission from a US-based launch vehicle, the report added. It includes payloads from 18 countries: India, United States, Australia, Italy, Netherlands, Finland, South Korea, Spain, Switzerland, UK, Germany, Jordan, Kazakhstan, Thailand, Poland, Canada, South Africa, and Brazil. Pet Fed, India’s largest Pet festival, presented by Just Dogs concluded its first ever edition in Bengaluru, as on 2nd Dec 2018. The little furry friends cherished the two days dedicated to them as Pet Fed, kicked off its first edition in Bangalore with all the fervour and passion on 1st & 2nd Dec respectively at Manpho Grounds (Manyata Tech Park). The first cutest festival of 2018 hit Bengaluru that witnessed 2300+ pets across 50+ breeds (dog, cat, hamsters and guinea pigs included). 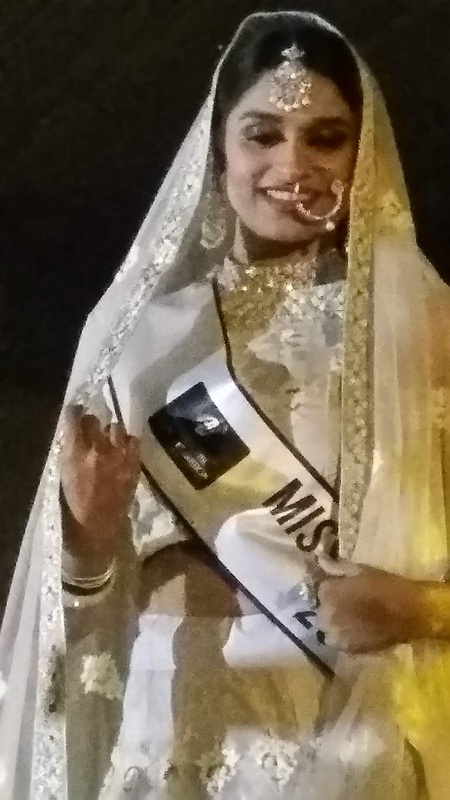 The 2-day fiesta was swanked of plentiful activities like Security Dog Show, Temptation Alley and hosted competitions for pets with cool talents who enthusiastically pitched for Foodie Singh Award, Naam Toh Suna Hi Hoga Award and Glamorous Dog award amongst others. The activity ring also had engaging activities lined up like Pets Got Talent, Discover Dog Zone, Fashion Show and a separate cat show for all the cat lovers. Pet Fed 2018 is presented by Just Dogs- India's biggest chain of retail outlets for pet products in India with 30 outlets pan India. It is a one stop shop for all pet requirements from grooming and training as well as shopping. “We have concluded this two day long pet fiesta on an ecstatic note and now we are moving towards Delhi and Mumbai for yet another set of activities that will have you rushing to book the tickets.”, he added. Pet Parents gear up to get your pooch try exciting and fun activities at the forthcoming editions in Delhi and Mumbai. Experience yet another cutest weekend of the year with 3000+ pets. Get your pets to try some cool tricks. There is something for everyone at the festival. So don’t miss out on it. With the cute pups wagging their tales, Pet Fed is the place for your yearly dose of Puppy Therapy! Get set to witness Pet Fed in association with Jerhigh, India’s biggest pet festival, in Delhi on 15th December and 16th December ’18 at the NSIC Okhla Grounds, New Delhi. Toyota Kirloskar Motor sold a total of 10721 units in the domestic market in November 2018. The company exported 669 units of the Etios series this month thus clocking a total of 11,390 units. In the month of November 2017, Toyota Kirloskar Motor sold a total of 12734 units in the domestic market. In addition, the company exported 686 units of the Etios series. Commenting on the monthly sales, N. Raja, Deputy Managing Director, Toyota Kirloskar Motor said, “Fluctuating exchange rates, rising fuel costs and high interest rates have impacted the consumer sentiment in auto industry. Consumer demand has witnessed a downward trend over the festive period as compared to same period last year. We are trying to maintain lean inventory at dealership to avoid stock pileup. Festive season has not been able to usual spur in customer demand. Toyota is considering a price increase of upto 4% across models with effect from 1st Jan 2019 owing to continued pressure of high manufacturing costs. 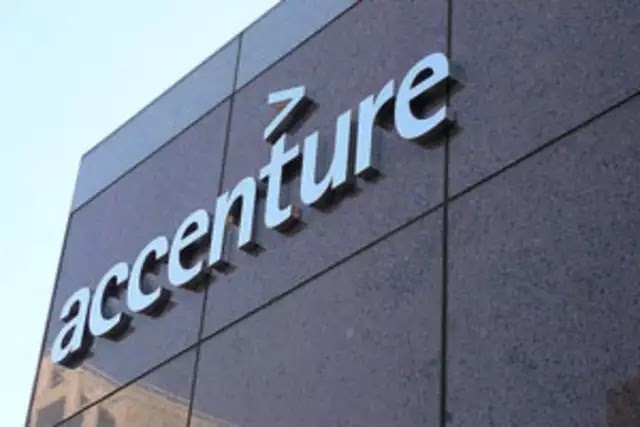 Today, on behalf of its founding partners, Qlik is pleased to welcome Accenture to the Data Literacy Project. Accenture joins as a founding partner, committing to the Project’s mission to build a data literate culture across the world. Data literacy is an essential skill in the Fourth Industrial Revolution, empowering people to ask questions of data and machines, build knowledge, make decisions and communicate its meaning with others. Yet, only 24 percent of business decision makers are fully confident in their ability to read, work with, analyze and argue with data. The Data Literacy Project, launched this October, is a community dedicated to making society fluent in the language of data, and places data literacy at the heart of individual and organizational success. The Project will provide individuals and organizations with extensive educational and professional training materials, interactive assessment tools and access to a community of experts. The community will not only support personal skills development, but also promote greater understanding around the importance of creating a data-driven culture within business. The founding partners will drive the Project’s agenda, provide educational resources and training, and ensure it achieves its mission.